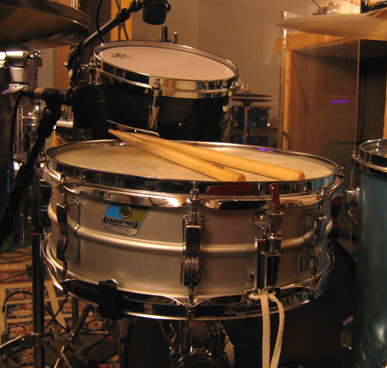 There are probably more of these in the world than any other snare drum. This is from my favorite period of manufacture. Great, versatile snare drum with a bright tone and wide tuning range. Courtesy of my Grandparents.